Freight prices are likely to stay high following the decision by OPEC not to increase production of oil among its members. Oil price futures instantly increased on the news. On the New York Mercantile Exchange, light, sweet crude futures for delivery in July traded at $101.57 a barrel at 7am GMT on Wednesday, while July Brent crude on the London ICE Futures exchange rose $0.38 to $118.23. It was widely expected that OPEC would seek to increase production to ensure that high oil prices would not harm the global economy. Although oil prices have fallen recently, this is seen as a temporary pattern. Yesterday’s meeting descended into acrimony when Iran and Venezuela led a campaign not to increase production, against the wishes of Saudi Arabia and others. 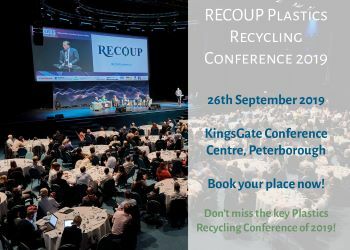 Eco Plastics commercial director Duncan Oakes told scrap-ex news that although there is a link between oil and plastic, other factors can come into play, so it will not necessarily mean there will be a price increase for plastics. He said: “Logically, you would say that if oil prices go up, the cost of freight will go up and the cost of polymer will go up. There is a link between the price of oil and scrap plastic, but other factors are important also.